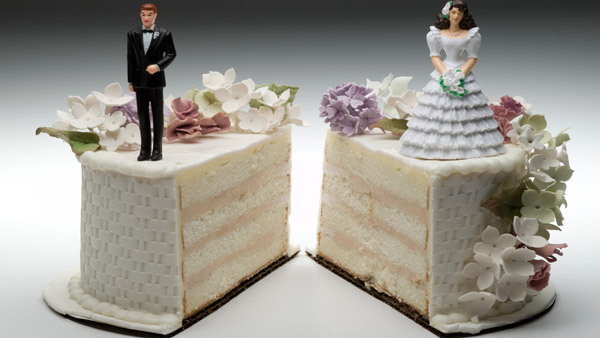 Gadfly economist and Social Security expert Laurence Kotlikoff says service will enable divorcing couples to maximize their financial outcomes and limit financial feuding. Kotlikoff says his platform makes divorce "a scientific answer rather than a bloodbath." When husband and wife divorce, even the “best” lawyer, mediator, judge or financial advisor is up against formidable odds in calming the inherent tension that exists when a former couple are now fighting over conflicting financial interests. Some couples, especially those who manage to focus on their common interests in promoting the welfare of their children, have perhaps better odds of an amicable separation. And a growing movement toward what is called “collaborative divorce” — in which the parties contract to maintain a transparent process involving neutral financial mediation and a divorce therapist to keep emotions under control — is starting to make headway. But even these optimal cases run into the reality of financial lives involving complex variables such as individuals with different incomes, ages, houses, pensions, health status and more. A well-meaning advisor with a good financial calculator may be insufficient to the task of equitably addressing these multiple moving targets. More in order would be a PhD in finance using powerful software capable of integrating retirement, tax, college, insurance, housing, Social Security, investment and career variables both to crunch the data and to make sense of it. Fortunately, such a solution now appears to be at hand with the launch of Fair Divorce Decisions by Laurence Kotlikoff. The Boston University economics professor and personal finance maverick, who has spearheaded a variety of services for perplexed consumers, including $40 advice in the complex area of Social Security claiming strategies, now wants to help divorcing couples wrap up a fair arrangement for just $500. Intensifying the bitterness of divorce is that “both sides think they’re right; that’s why these arguments are so fierce,” Kotlikoff tells ThinkAdvisor in a phone interview. To the extent possible in a situation involving the breakup of a marriage, the result can be a win for both parties, as well as for any of their advisors. “We can be an effective back office for advisors,” says Kotlikoff, whose software produces an initial four reports for $500, charging $125 for each additional report that is desired. But given the sheer number of divorces and the diversity of families’ financial situations, a high proportion of advisors’ clients are likely to need an objective look at the financial impact of their divorce under different scenarios, which is what Kotlikoff’s software aims to do. It can run numbers based on a settlement involving a lump sum payment with no alimony, or alternative scenarios involving lower or higher alimony payments. “We do the calculations for them using our software to evaluate different divorce settlement options and suggest things that are fairer,” he says. “He’s retired, she’s working the next five years; he doesn’t want to work or provide much in assets. How much alimony is needed to be equal? In looking at it, it became clear that it would be more tax-efficient for both of them for him to basically pay the taxes … If he hands over alimony, they have the option to make it excludable in his [adjusted gross income] or taxable to her or not; it turns out that in this case, somewhat surprisingly, it’s better for it not to be excluded. “That solution provides more resources for the two of them to share; it’s win-win for both … Once they have a plan, they can go to their lawyer to write up the agreement,” he says. Kotlikoff clarifies that any individual can obtain the analysis with or without an advisor, with or without the other spouse. But Fair Divorce Decisions won’t bias the information. “If someone says their income is X, then turns around and says ‘Lower it,’ we’re not going to do it,” he says. For Kotlikoff, the venture is something of a charitable endeavor, given that he has lost money on his 20-plus years of perfecting and promoting his ESPlanner software — the engine of his new fair divorce venture. “I like to help people and employ people,” he says, without adding that he has also been making his software available at no cost to individuals, while charging modest fees to financial professionals. The Wall Street Journal, Washington Post and Money Magazine are among the many reviewers that have heaped praise on his software; but beyond the tool itself, Kotlikoff stresses the quality of the service, hiring only bright, caring people whom he trains in understanding the program. That 10-member team includes a son and son-in-law, and a former head of research for the Army Corps of Engineering — flakes need not apply. Kotlikoff’s team puts time and personal attention into their fair divorce analyses. Team members, whom he personally supervises, don’t just push buttons but spend time understanding the data inputs, and more time generating their 140-page reports that dig into the tax and retirement implications of the divorce, and Kotlikoff personally reviews the results before his consultants get back to the clients. “Even the best professionals cannot make these calculations,” he says. While the variables — including such things as insurance policies, Roth vs. traditional IRAs, different ages, who gets a certain deduction and the like — are legion, the two most critical variables are each party’s spending and their housing circumstances. Except for the case of “a 2-minute marriage,” he quips, where a big disparity may be fair, the software assumes the need for an equitable arrangement in these two areas. So rather than one party bewailing his high mortgage, as if it’s a cost, the focus is on consumption. “When one of the parties has much bigger house, we’re just clarifying that that’s also a living standard difference — that person’s getting three times more housing services,” he says. The Boston University economist says he’s seen up close one of his home state’s key divorce judges apply his own arbitrary sense as to what constitutes fair alimony. That arbitrariness, he thinks, may account for the vast numbers who, he says anecdotally, settle five minutes before the judge shows up. That bothered Kotlikoff, whose ambition is no less than to change divorce law, as much as divorce outcomes. “What we really have here is a living-standard machine,” he says.